If you’re a discerning coffee fiend (you’re literally drinking it right now or jonesing for a sip, aren’t you? ), get into KIVU Coffee. KIVU is a young passion project founded by London-based Christina Hardy (the rather visionary creative producer who's got Nowness, AnOther, Alexander McQueen, U2 and many more on her client list). Named after Lake Kivu in DR Congo, KIVU aims to build local community support through the promotion of music, photography, art and a stellar cup of coffee - roasted in London - of course. Starting out with a single origin coffee from the DR Congo, KIVU is working with local and international artists who can share aspects of creative Congolese life that we’d otherwise be oblivious to. Acclaimed photographer Viviane Sassen is the first collaborator to create a gripping photographic series for the label. As fine art and fashion photographer Viviane Sassen was raised in Kenya, her work finds major influence in the bright light and contrasting relief-bearing shadows she remembers from those early days. 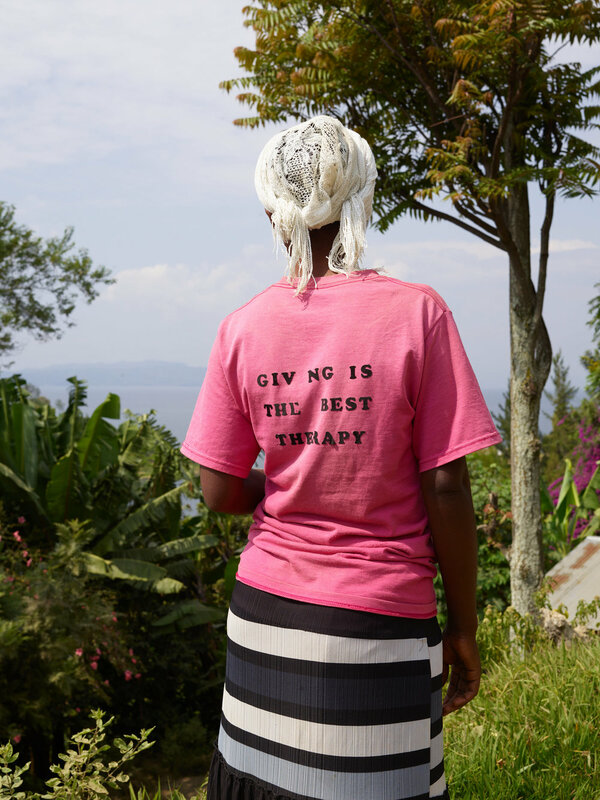 Travelling around Lake Kivu with her family for two weeks, she portrayed the people, landscapes and coffee agriculture she encountered resulting in a strong, beautiful series. KIVU also includes KIVU Radio, a platform for curated sound broadcasting playlists and soundscapes for each different coffee roast (the first edition curated by Secousse Radio can be heard here). A visual diary chronicling life in Congo will be coming soon. You can order the KIVU “MUUNGANO” co-op roast online here, benefiting the Panzi Hospital for women in Bukavu.